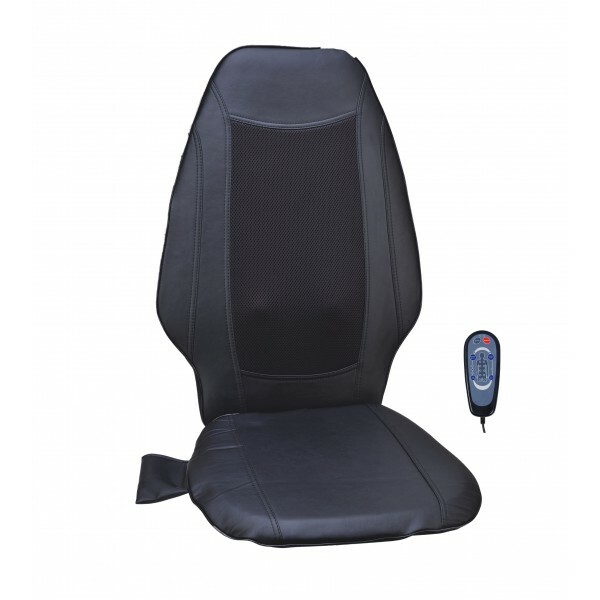 AC and DC adaptors for home, office and auto with variable Enjoy a relaxing vibration massage at home, at the office or in the car with the Relaxzen 10-Motor Massage Cushion by Comfort Products. Whether on or off, the soft polyester fabric, plush polyurethane foam and large seating area (19"W x 18"D) add support and style to any seating environment. Whether at home or in the car, Hit trouble areas affected by the day's stress by gently massaging the neck, upper and lower back, lumbar, and thighs all at once or by targeting those areas individually.